A lovely book is out in the world! And it's my pleasure to tell you about it. 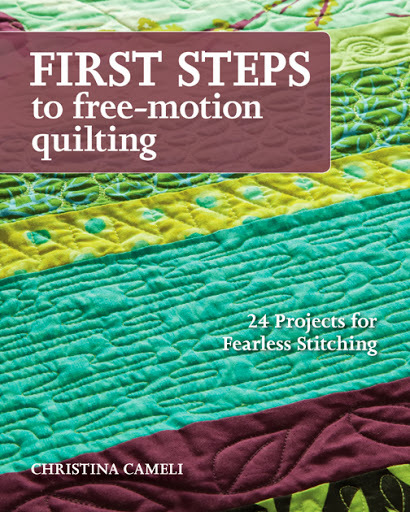 Improvising Tradition, by Alexandra Ledgerwood of Teaginny Designs, is a gentle, refined, thoughtful introduction to the delights of improvisational quilting. 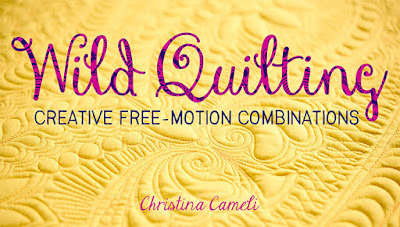 Readers of this blog know that improvisation is my native quilting language. 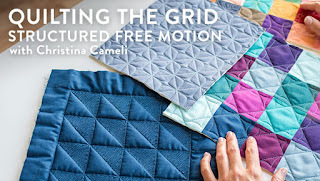 While my interests have lately led me to explore more precision piecing, it was like a drink of cool water to have Alex's book in my hands and see her take on sharing improv quilting. Alex's style is very refined. 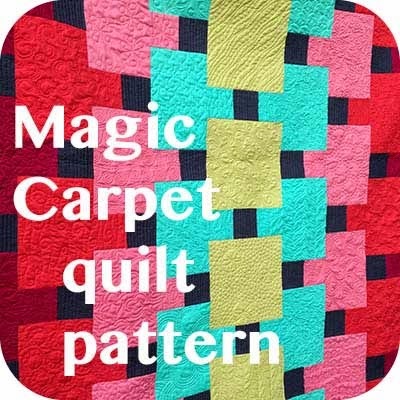 Lots of color coordinated scraps and solids. It gives the book a distinctly modern feel, which I find pleasant even though I use more prints in my work than Alex does. 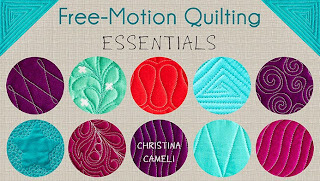 Flipping through her book made me eager to return to my sewing room and start playing! I made this little placemat, and I'm pretty sure I was under the influence of the beautiful quilt above that's on the book cover when I picked my colors. 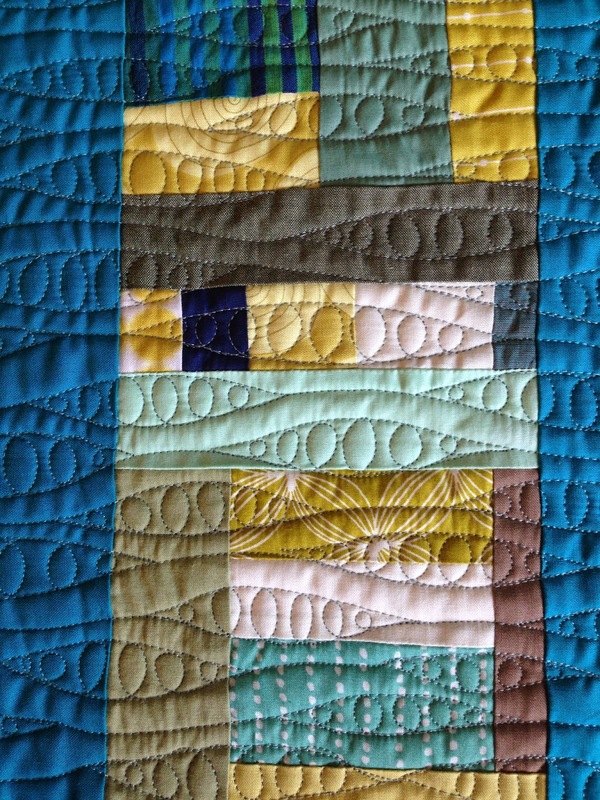 I also played around with curved improv piecing. I wish I'd gotten my strips nice and narrow like Alex's but I'm still thrilled with how the piece turned out. 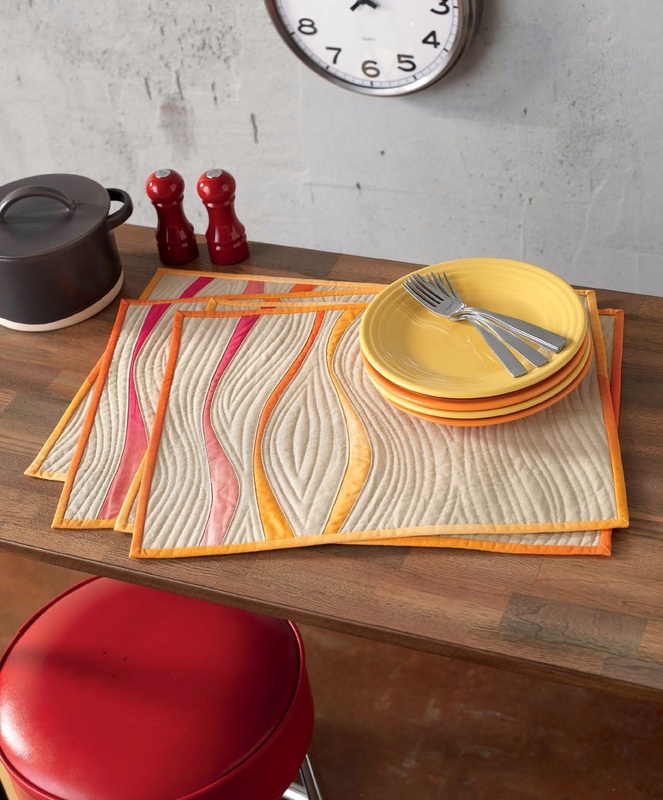 Here are Alex's gorgeous placemats. The way Alex structured the book is right on. She shows a technique, like making improv log cabins, and fully illustrates that technique. Then she shows you some projects to try the technique. This is the perfect format because it gives cautious improvisers projects to hold onto to get their feet wet, while allowing the dauntless improvisers to absorb the concept quickly and move on to trying it out in their own way. This is a very thoughtful way to arrange content. 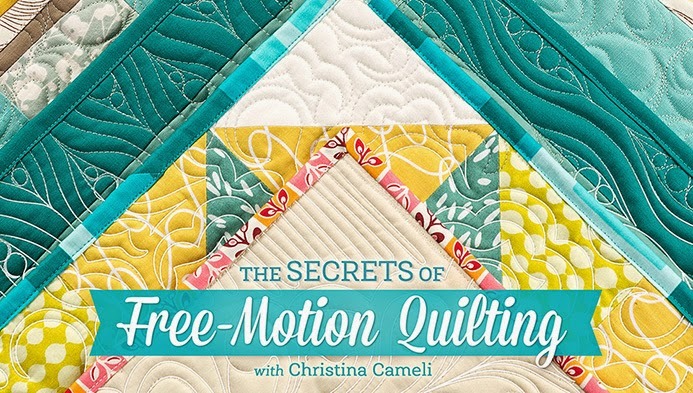 This format as well as the careful clarity with which Alex shares her information make it the perfect book for quilters of across a range of experience and confidence with improv quilting. 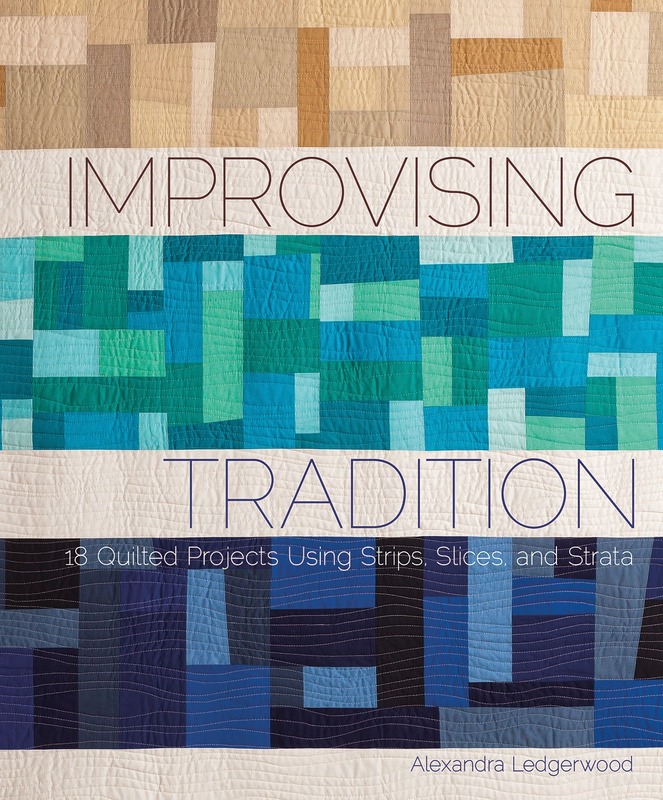 If you have been interested in learning or revisiting improv quilting, definitely get your hands on a copy of Improvising Tradition, you'll be pleased that you did! It is a fabulous book. I received it as a Christmas gift and can't wait to give it a go. 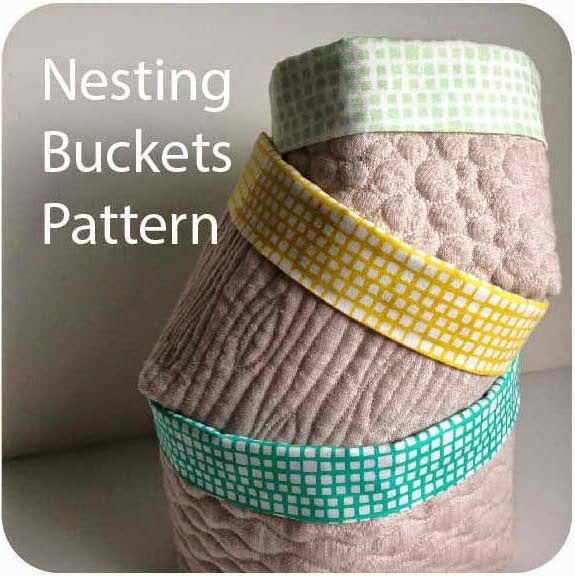 Your projects turned out just wonderful! 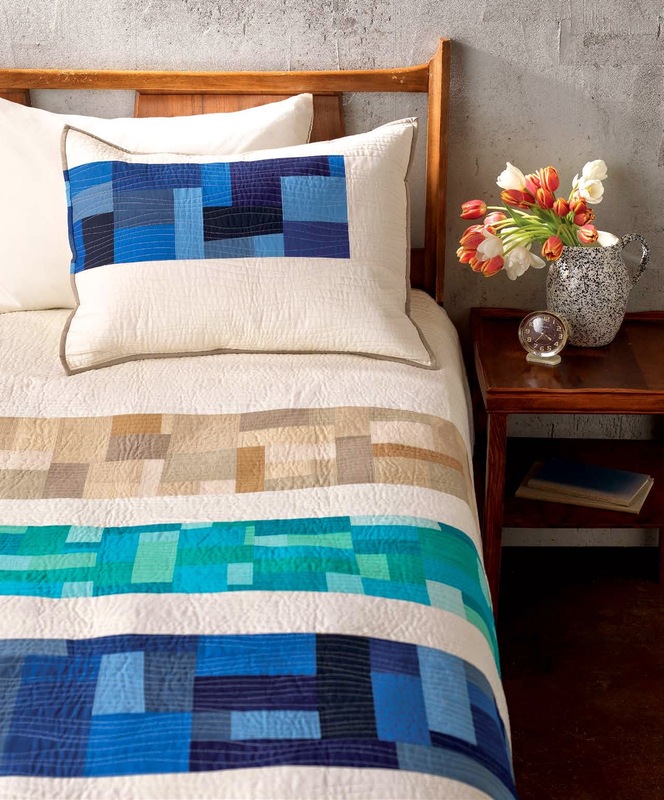 Love the curvy piecing with the curvy quilting. Looks like the perfect book for starting to learn improv Christina. Love both of your projects! 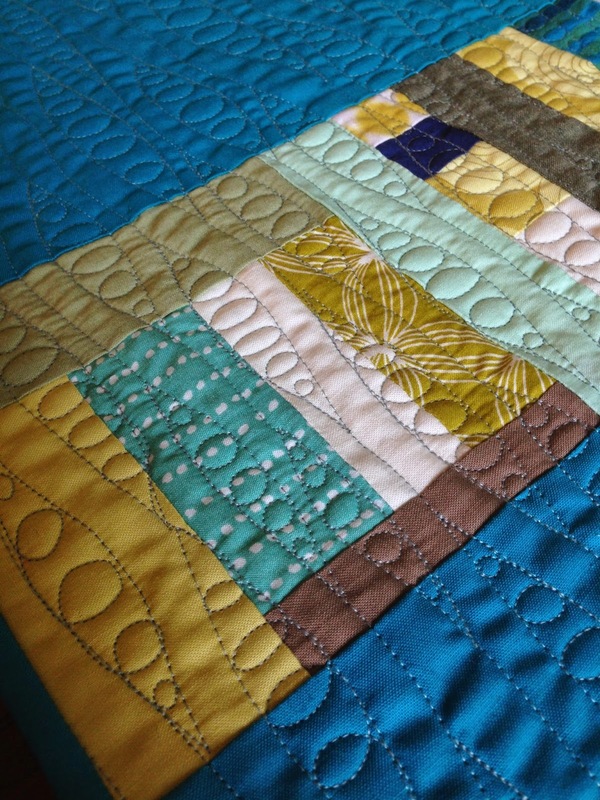 Love your improve AND quilting!! Oh man... I neeeeed that book! 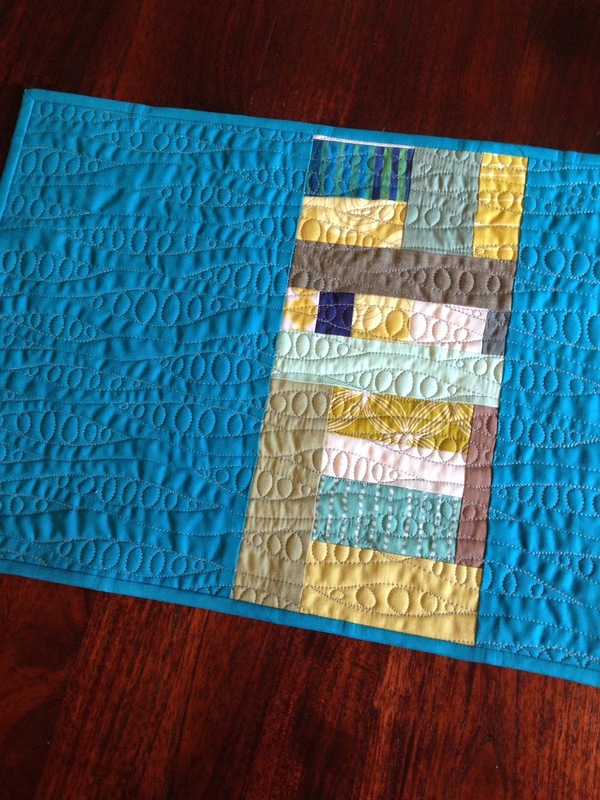 :) I love your placemat and I love that quilt on the front. 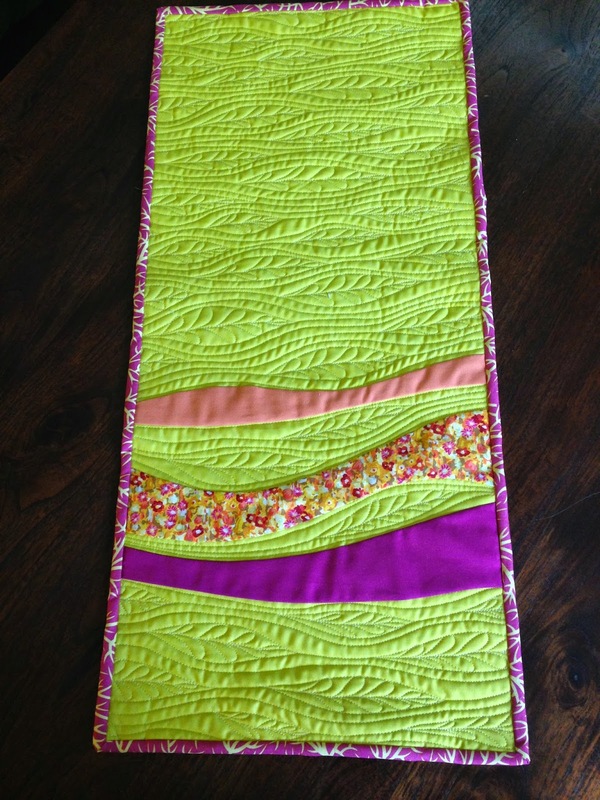 I love the colors you chose for your table runner, and your FMQ designs on both runner and placemat. And I want to thank you for all your tutorials.